SCHOOLCHILDREN became shining examples of how to care for the planet when they designed solar-powered vehicles. 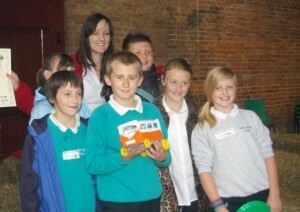 Children from across schools in Havant got creative and used recycled materials to make a moving vehicle with a solar cell. Staunton Country Park hosted the Havant heat of the Hampshire Solar Challenge and taking part were Hart Plain Junior School. Riders Junior School, Emsworth Primary School, St James’ Church of England Primary School and Bidbury Junior School. The judging panel, which included Jacquie Penrose from Havant Transition Network and Ray Cobbett from Havant Friends of the Earth was impressed by the children’s efforts. Hart Plain and Bidbury will now compete in the Hampshire final at Intech in Winchester on July 6. The youngsters will compete for a trophy against 10 other schools from around the county. Councillor David Collins, who is in charge of sustainability at Havant Borough Council, said: ‘Each of the schools made a superb effort for the Havant heat of the Solar Challenge.